Google is introducing a new feature in Google search results today: +1. But what is it? A new social network? A social thingy? A social search engine? Is it even social? When you’re signed into your Google account, every Google search result will now have a +1 icon next to it (right now you have to activate in Google Experimental). If you find the search result useful or just enjoy the linked site, you hit the +1 icon. Google says by +1-ing a result you’re giving it a recommendation, a stamp of approval. More +1’s on a result means the site is more interesting. You can see what your friends +1’d which ideally lends more credence to a particular search result. Since Google displays so many sites, these little +1’s will help you sift out the crappy ones (if you didn’t banish them already). Imagine if your best friend found a link interesting and +1’d it. When you stumble upon that in the future, you’re probably going to click it. When the Google +1 project first started (as Google Me), it was billed to be Google’s Facebook killer. Clearly, it’s not. The +1 system works more like Likes in Facebook or Diggs in Digg, meaning to say it’s a bare bones simple way to show that you like something. That’s good! 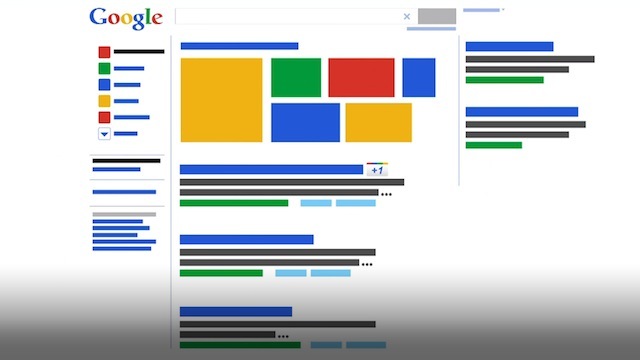 Google became the king of search because it was simple. +1 is simple. You can also +1 ad’s, which combined with the data of your usual +1s of search results, will let Google learn more about you and better target their ads. It’s sort of like data research masked as a feature, like when Google offered free Google 411s to improve their voice recognition software, Google +1 improves their ad delivery system. Google isn’t done with +1 yet. They’ve learned from previous mistakes in Google Buzz and Google Wave where they dug a grave for those products by overhyping them. This time, by starting small with a simple +1 icon only available on Google search results, they can quietly go about their business and slowly add to it (like +1-ing directly from a website, from Chrome, from apps etc.). …but won’t change the way you use Google. Yet. Looks like not even mighty Google itself is able to resist the charms of a bit of widespread internet shorthand. +1, whether used to uprank an Engadget comment or in freehand writing to signify one’s support / approval of something, is making its way into Google search results. You’ll soon be able to throw a single thumb up on links or ads you find useful, which will then be used to inform your buddies about the value of that site. Recommendations are filtered using a typically complex algorithm intended to make them as relevant as possible, with people within your social circle (i.e. Gtalk buddies and Gmail contacts) getting a higher priority. The new +1 button will start off with English Google search and ads soon, to be followed by more products in Google’s portfolio and potentially more social linkups, such as via Twitter. The usual explanatory video follows after the break. Google adding a +1 button to search results, hopes you Like it originally appeared on Engadget on Wed, 30 Mar 2011 14:39:00 EDT. Please see our terms for use of feeds. 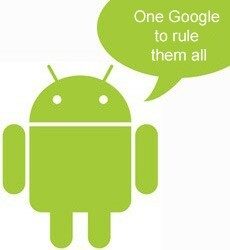 Google tightening control of Android, insisting licensees abide by ‘non-fragmentation clauses’? A storm seems to be brewing over the realm of Android development. Bloomberg’s Businessweek spies have received word from “a dozen executives working at key companies in the Android ecosystem” that Google is actively working to gain control and final say over customizations of its popular mobile OS. That might not sound unreasonable, and indeed Google’s public position on the matter is that it’s seeking to stabilize the platform and ensure quality control, but it does mark a major shift from where Android started — an open source OS that was also open to manufacturers and carriers to customize as they wish. Not so anymore, we’re told, as apparently Mountain View is now demanding that content partnerships and OS tweaks get the blessing of Andy Rubin before proceeding. The alternative, of course, is to not be inside Google’s warm and fuzzy early access program, but then, as evidenced by the company recently withholding the Honeycomb source code, you end up far behind those among your competitors who do dance to Google’s pipe. Google tightening control of Android, insisting licensees abide by ‘non-fragmentation clauses’? originally appeared on Engadget on Thu, 31 Mar 2011 05:12:00 EDT. Please see our terms for use of feeds. probably due to some ad network or analytics experiment gone wrong, but this was what I was greeted with this morning when browsing past mediapost. Microsoft’s research team in Cambridge has published a paper outlining several ways the speed and accuracy of Kinect can be improved. Lucky Kinect is also made by Microsoft! The team’s research does not build on Kinect’s existing technology; rather, it strips it away at the base level and replaces it with a new way of “thinking”. Rather than using a recognition system built on tracking limbs, the researchers built one that could identify body parts in an image, pixel-by-pixel. This would not only remove the need for Kinect to repeatedly calibrate, but would also make its detections speed a lot faster. That’s the good news! The bad news is that this wasn’t an official Kinect project, just a research paper, so there’s no telling when such findings could be implemented on a consumer level, if they ever can at all. Of course, the bigger story here is that Amazon’s free Cloud Player is going head-to-head with Sony’s Music Unlimited streaming subscription service, which was pushed out last month after plenty of money talk with various record labels. 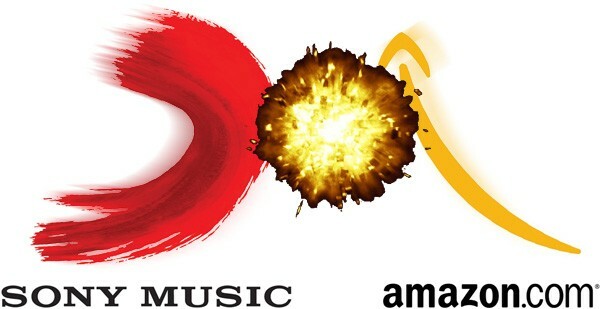 Understandably, Sony isn’t willing to let Amazon cut through the red tape here without a fight, and this may also affect similar music locker services like mSpot and MP3Tunes, albeit at a much smaller scale. In fact, Sony’s already expressed its discomfort with those particular companies’ mode of operation, so you can probably expect to see this tension boiling over to some form of legal action before long. Now that a big shot like Amazon’s involved, it’s almost inevitable. Amazon Cloud Player upsets Sony Music over streaming license, Amazon shrugs originally appeared on Engadget on Wed, 30 Mar 2011 02:26:00 EDT. Please see our terms for use of feeds. Exclusive – Upstream Commerce, a provider of a cloud-based, automated competitive pricing and product analytics solution for online retailers not to be confused with mobile marketing solutions company Upstream Systems, has raised $1.25 million in funding from YL Ventures, TechCrunch has learned. The company basically helps online retailers proactively adjust product pricing to the most appropriate levels based on market conditions. To help them do that, Upstream Commerce searches through competitors’ sites 24/7 and analyzes relevant data such as their latest promotions, product assortment and recent pricing changes, all in order to provide their customers with actionable insights. Upstream Commerce was founded by Amos Peleg and Shai Geva. 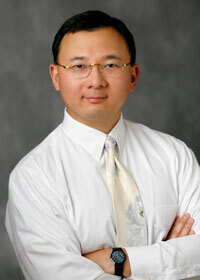 Both previously held executives roles at Mercado Software (acquired by Omniture, now Adobe). YL Ventures managing partner Yoav Leitersdorf has joined the startup’s board of directors as part of the investment deal. Exclusive – There’s a ton of daily deal sites out there, and we’ve seen a bunch of daily deal aggregators pop up in the past few months, too. Today sees the launch of yet another one of those, dubbed Shoparatti. A ‘one-stop destination for busy online shoppers’, Shoparatti’s claim to fame is its semi-famous editor-in-chief Melissa Rivers, daughter of comedian and actress Joan Rivers. Rivers and her team of editors will scour more than 100 daily deal web sites and showcase the best offers they can find through Shoparatti.com, Facebook and an iPhone app. According to the press release, Rivers will be drawing upon her “expertise in spotting trends in lifestyle, entertainment and fashion” to make her Shoparatti selections. Yipit and 8coupons needn’t worry too much at this point, though. We’d be somewhat excited about the news if endorsements of involvement from celebrities ever helped a startup succeed in the cutthroat e-commerce industry, but alas. Also, why would anyone boast about the fact that ‘everyone’ knows how much he or she loves shopping? There are always those rumors that get passed around so much—Tommy Hilfiger hates black people! Ciara is a dude!—that they’re passed off as fact. But what happens when they’re not true? I guess you can go to iCorrect.com. iCorrect, a recently launched website, wants to become the platform where famous people go to tell their side of the story. The accused address a specific accusation and come clean with their own correction. If you want to protect your reputation and squash any talk that you’re a cat killer? You pay iCorrect.com $1000/year to be a member which allows you to post an item saying that you actually love cats. Hah! Case closed, now everyone will know the truth. Never mind the fact that by rehashing the rumors, you’re drawing more attention to the false accusation.